As technology advances, so does the capabilities of home and office projectors. Today’s projectors offer more brightness, faster downloading speeds, HDMI ports with MHL support and enhanced sound systems. Offering 50% more brightness than their predecessors, the JVC DLA projector series is a gem. Equipped with a high power lamp and Motion Enhance technology, it provides superior imaging whether watching sports or enjoying a movie. The latest in HDMI inputs have also been included on these projectors allowing for quick data transfer rates. Priced at under $1,000, this projector is sure to be a favorite in homes this year. With 3000 lumens, it offers solid imaging for your home or office. Having an advanced sound system, it will provide an exceptional movie viewing experience. It further offers a wider color range and a shorter throw ratio for better pictures. Extremely compact, this projector is lightweight and one of the most portable projectors on the market today. It offers 3000 lumens ensuring brightness and quality imaging as well as a 15000:1 contrast ratio. 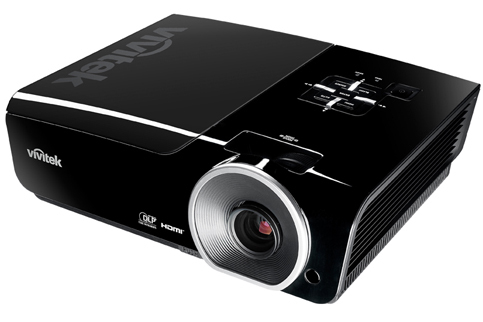 Equipped with 2 HDMI inputs, this projector will work with computers and blu-ray players. It also offers MHL support, and will work seamlessly with your Android phone or tablet. Shop for replacement projector lamps at MyProjectorLamps.com. We offer an unbeatable selection, the most affordable prices, and fast shipping. We’ve got you covered! Business presentations can be more interesting and even exciting when they are shown on a projector screen. If you are regularly making business presentations, you should consider investing in a quality projector and screen. Portability – Is it mobile? Look for a projector that does not weigh too much and thus can be easily transported. Lumens or Projector Brightness – If you will be showing your presentation in a bright room or if you have a large audience, you’ll need a projector that has more lumens. Projector Resolution – Preferably choose WXGA or HD if you will be using lots of video clips in your presentation. 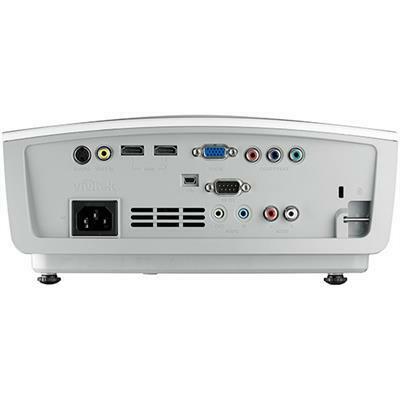 Vivitek D963HD – With HD resolution, this projector is a great investment for your business. It comes equipped with 4500 lumens and offers HDMI connectivity for both digital video and audio. This projector is portable and will work seamlessly with widescreen laptops. Digital Galaxy DG-737 – Very affordable, this projector also offers HD resolution. A great option for traveling sales professionals, it is lightweight and easy to connect. Ideal for presentations for smaller groups, this projector comes equipped with 1500 lumens. 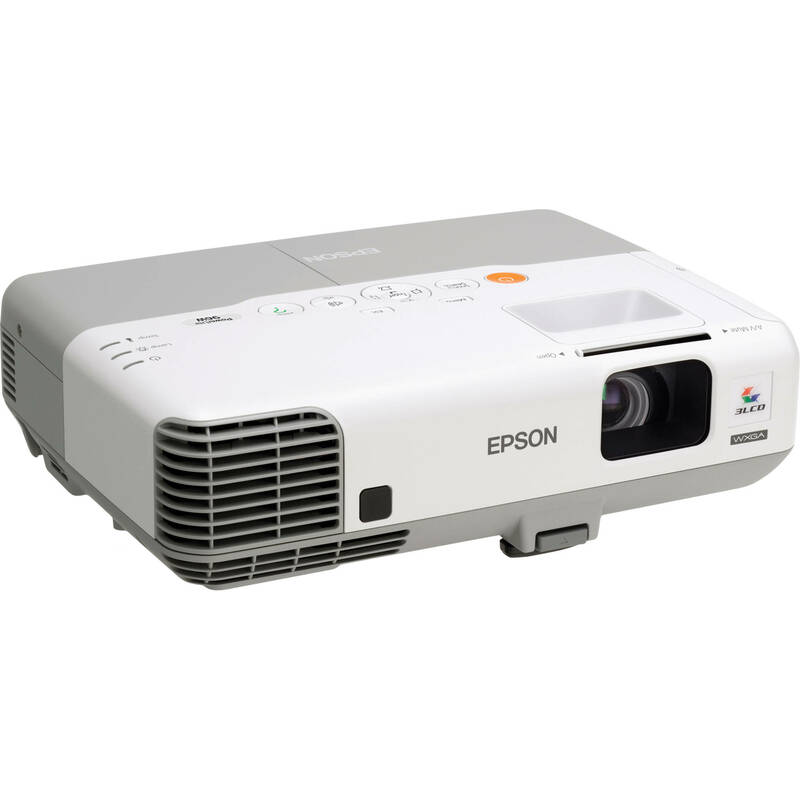 Epson PowerLite 96W WXGA 3 LCD Projector – Economical, this projector offers WXGA resolution. With 2700 lumens, it can be used in a bright room or in smaller sized auditoriums. Weighing less than 10 pounds, it is also easy to carry and will take up very little storage space. Find replacement projector lamps for these and other projectors at MyProjectorLamps.com. We offer an unbeatable selection, the most affordable prices, and fast shipping. We’ve got you covered! Launched nearly two years ago, the Vivitek D554 is one of the latest iterations in the manfacturers’ D5 series. It’s a powerful SVGA projector that shares similarities with other D5 projectors like the D548, D551 and the D557. For example, it’s a DLP-based machine that delivers 3,000 lumens of brightness. That’s similar to other D5 projectors. Additionally, the D554 can broadcast 3D images, it’s equipped with BrilliantColor technology, and can accommodate input from a range of connections including HDMI sources. In other words, the D554 is a powerful multimedia projection tool that’s well-suited for business and classroom presentations. Plus, it’s super portable, weighing just five pounds and with average zoom and image correction specifications. If you’re on the market for an SVGA projector, the Vivitek D554 is a viable option that combines a range of functionality and an unbeatable price. From third-party sellers, the D554 starts at about $400, and used machines can be got for half of that. Pricing for new, capable projectors doesn’t get much more attractive than that. Long Lamp Life: For a DLP-based projector, the D554 – and more broadly, the entire D5 Series – achieves long-lasting performance from its lamp. The D554’s lamp is rated at 5,000 hours in standard operating mode, which is boosted up to 6,000 hours in economy mode. That keeps maintenance costs at a minimum. Fortunately, the D554 – which shares a replacement bulb and lamp module with the D548, D551, D552, D553, D555, D557 – has a low-cost replacement lamp. The Vivitek D554’s replacement lamp (part number 5811118154-SVV) can still be purchased at a great price. Brightness and Contrast: Vivitek continues to produce powerful DLP projectors, and the D554 is a prime example. It delivers a 3,000-lumen image in the standard operating mode, which is ideal for spaces that don’t have control over ambient light. Fortunately, the brightness is matched with a 15,000:1 contrast ratio and BrilliantColor technology. The result is images that are precise, clear and color saturated, which is especially important in the lower resolution SVGA. Additional Features: Image quality and lamp performance are amazing with the D554, but there are a range of great features that back it up. These include a 2W mono speaker. The audio isn’t powerful enough for noisy classrooms and small conference spaces. In these cases, you’d likely need an external audio set-up. But for small classrooms and boardrooms, the speaker is an ideal plug-and-play option. Additionally, the projector is equipped with wired networking, HDMI input, and Full 3D. Super Lightweight: The D554 is ideal for on-the-go presentations due to its size. The projector weighs just 5 pounds, and it measures 3.7×10.8×8.4 inches. Plus, the projector has a 1.1:1 zoom ratio – not great, but useful – and digital keystone correction, which makes it easy to adapt the image to the screen. 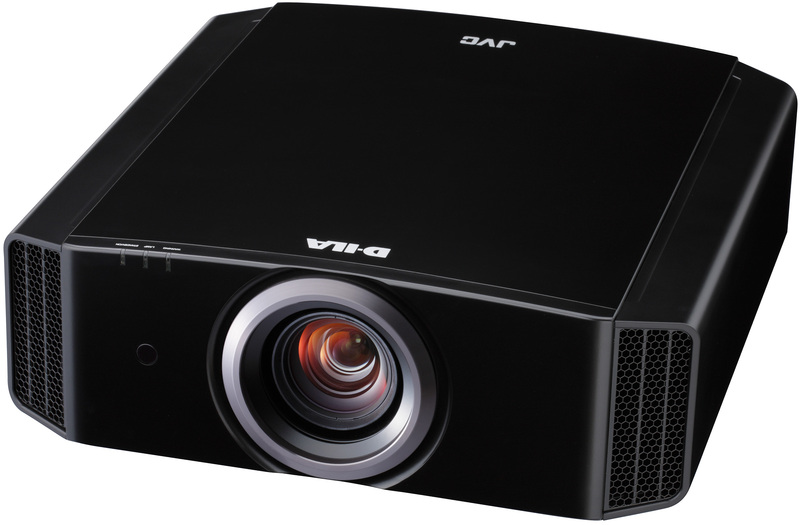 Overall, the D554 – and other projectors in the D5 Series like the D548 – is a great SVGA projector. It delivers amazing images, a suite of useful features, and the price is right. For $400, the projector is budget friendly, but you won’t be sacrificing functionality for price. This is an ideal option for businesses or classrooms that need a SVGA machine. 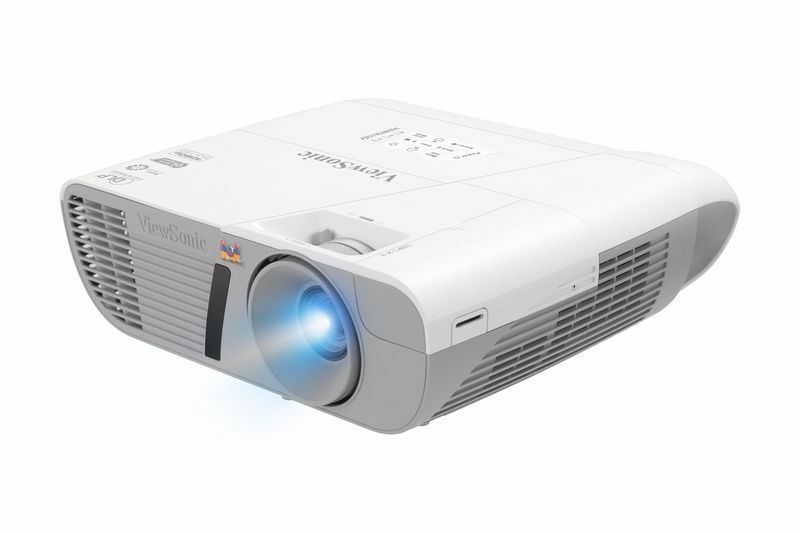 Released in 2012, the Vivitek D910HD was dubbed a “cross-over” projector. That means it’s capable of high-quality business presentations, but with a Full HD native resolution and 3D functionality, it can hold its own for entertainment. Currently, the D910HD is still shipping, and there’s a number of reasons why this projector is worthy of interest by both business presenters and those looking for a home entertainment upgrade. The DLP projector boasts impressive image quality stats: 3,000 lumens, BrilliantColor technology and a Full HD resolution. Plus, the price is just right – it’s available in the U.S. and Europe with prices starting at $849. That price point puts the D910HD firmly in “wallet-friendly” projector category. There’s a lot to like about the Vivitek D910. It projects a bright image with decent color saturation. There’s a range of connection options available, including HDMI, USB and RS232 ports. Yet, for the home entertainment enthusiast, it doesn’t provide that specialized performance that other projectors do. For instance, the Optoma GT1080 is designed for home entertainment, with rapid refresh rate and specialized gaming modes. Because the 910HD is a cross-over projector, it doesn’t excel as a presentation tool or as an entertainment system. Image Quality, Brightness: The D910HD delivers a 3,000-lumen image with a 5,000:1 contrast ratio. That’s bright enough to perform in moderately lit spaces, but image quality might diminish in spaces with more ambient light. Plus, the DLP and BrilliantColor technology provide excellent color saturation, with crisp detail in black and clear contrast. Long-Lasting Lamp Performance: The D910HD’s 190-watt lamp achieves 3,000 hours of lamp life in standard mode, and 5,000 hours in the economy setting. The D910HD’s replacement lamp is relatively affordable – replacement part No. 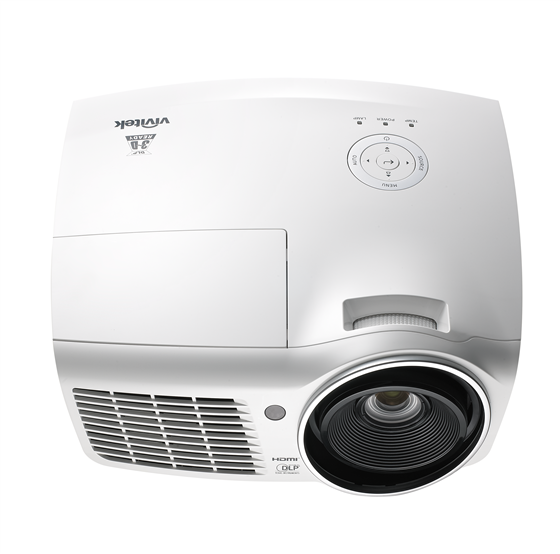 5811117901-SVV – but yet, with such long-lasting performance, maintenance costs for this projector won’t break the bank. Lightweight, Sleek Design: At roughly 7 pounds, the D910HD is lightweight and ultra-portable. That’s one reason Vivitek calls this a cross-over projector; it can move seamlessly from office to home. Plus, the projector features an attractive, flowing design. Built-In Speaker System: The 910HD is equipped with a built-in 10-watt mono speaker, which can serve as a basic audio system at the house or office. Although in noisier environments, operators will likely prefer connecting to an external speaker system. Extended Warranty: Vivitek offers a three-year parts/labor warranty for the projector, as well as a one-year warranty on the lamp. Those are favorable warranty terms, and above-average compared to similarly priced projectors. 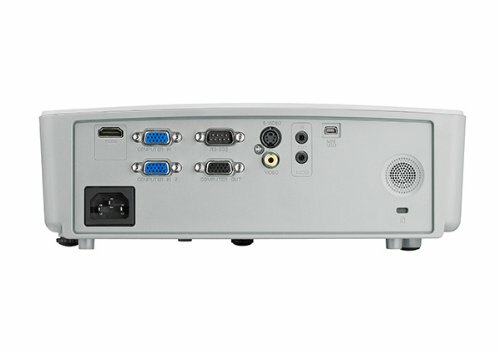 A Range of Connectivity Options: With two Audio In ports, an HDMI and USB port, and an RS232 port, the D910HD can handle tons of connectivity. Yet, the majority of entertainment projectors produced these days are equipped with at least 2 HDMI ports, which may be a turnoff for some buyers. Limited Installation Flexibility: The D910HD does not have lens shift or horizontal keystone correction. With just a 1.2:1 zoom ratio and vertical keystone, fitting the projector to a smaller room may be more difficult. The verdict? As an entry-level projector, the Vivitek D910HD does a lot of things right. If you need a projector for watching TV or movies, the D910HD will meet your needs. Or if you’re after a presentation set-up that can give a boost to multimedia presentations, the D910HD is more than capable. Unfortunately, the D910HD is a jack of all trades, but a master of none. If you have specialized entertainment needs – like powerful gaming performance – or enhanced presentation needs – like cloud connectivity – you’ll likely be better off purchasing a projector that’s designed to fit your needs. It’s not to say that the D910HD isn’t worthy of an investment. There are a lot of reasons that it is. Yet, there are options that are more recent with a similar feature set and price. 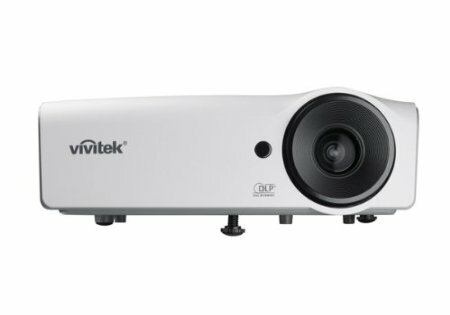 When Vivitek’s H1080FD was first released in 2009, it was one of the only sub-$1,000 Full HD projectors on the market. Today that’s a crowded segment in the projector market, with all the major players like Optoma and BenQ delivering powerful Full HD set-ups well below $1,000. However, what made the Vivitek H1080FD so interesting at the time was that it delivered a high-quality image and substantial brightness for a below-average price. It was a perfect entry-level projector for home theater and entertainment. Today, the H1080FD holds its own in terms of image quality. Although image quality isn’t perfect (which should be expected from budget projectors), this model performs well. It’s been out-of-production since 2010, and it’s starting to show its age. Today’s sub-$1,000 projectors achieve enhanced image quality, they’re equipped with better feature sets, and they start at right around $500. In other words, purchasing a used H1080FD doesn’t make a lot of sense, even if you need something cheap to use alongside your higher-end set-up. Simply stated, you’re better off buying new. Brightness: Rated at 1,800 ASNI lumens, the H1080FD is and was a bright, entry-level projector. That made it ideal for living room set-ups. It is capable of delivering vibrant images in ambient light like HD sports and gaming, yet with three available brightness levels, it can easily be adjusted for watching movies in the home theater. Today, a 1,800-lumen rating is below average. The Optoma HD141X, for example, which retails for $574, is rated at 3,000 lumens. Contrast: With a contrast ratio of 4,000:1, the H1080 doesn’t perform as well compared to higher-end projectors. For instance, it won’t achieve those deep, dark blacks. Yet, it does hold its own, providing detail in the shadows and a quality image. The performance is comparable to similarly priced budget theater projectors released these days. Color Accuracy: Another reason the Vivitek made a splash when it was released was its color performance. With slight calibrations, it achieves great color saturation and performance is accurate. You likely won’t achieve those out-of-the-box, but it’s possible with a few minor adjustments. Short Lamp Life: With full lumen output, the HD1080’s lamp achieves just a 2,000-hour lamp life, and it’s boosted up to 3,000 at lower settings. That’s about average for a DLP projector, but newer pieces of hardware tend to achieve longer lamp lives. The H1080FD’s replacement lamp – part No. 5811116206-S – is relatively affordable, but because the life is on the lower end, the projector’s overall cost of ownership does increase a bit. Problematic Ease-of-Use: Another common complaint is the projector’s confusing remote and menu controls. Plus, for maximum color performance, you’ll need to likely calibrate your projector. For these reasons, the H1080FD can’t be described as a “plug-and-play” option and it’s not very user-friendly. Some Rainbow Effects: The H1080FD is a 3-wheel DLP projector, and as such, a slight rainbow effect is visible in certain scenes. This problem is relatively minor, and should be expected from a budget projector. But it’s another reason to be wary of this set-up. 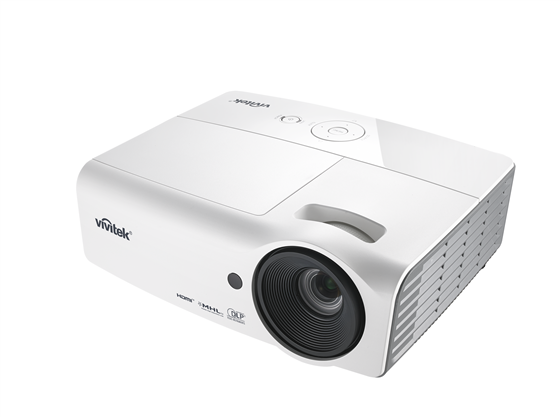 Overall, the Vivitek H1080FD is a powerful projector that delivers substantial brightness and above-average image quality. The biggest issues are price and feature set. The H1080FD doesn’t have 3D capabilities, it’s not wired for cloud connectivity and set-up flexibility is limited (it only has zoom functionalities). Plus, it is out-of-production, meaning it’s only available from resellers or as used or refurbished. If you can find a low-low price on this model, it might be worth the investment, whether as a beginner set-up or as a back-up to your higher-end projector. But if the cost is close to $500, you’re better off splurging on the Optoma HD141X or BenQ 1070/1075. They’re only slightly more expensive but much newer and with updated technology.